The event took place at Birmingham Bullring shopping centre and on my arrival I was greeted by lovely girls at T2 store. There was selection of tea infused cocktails and nibbles passed around, so I grabbed myself a cheeky mulled wine cocktail which was very refreshing and delicious! 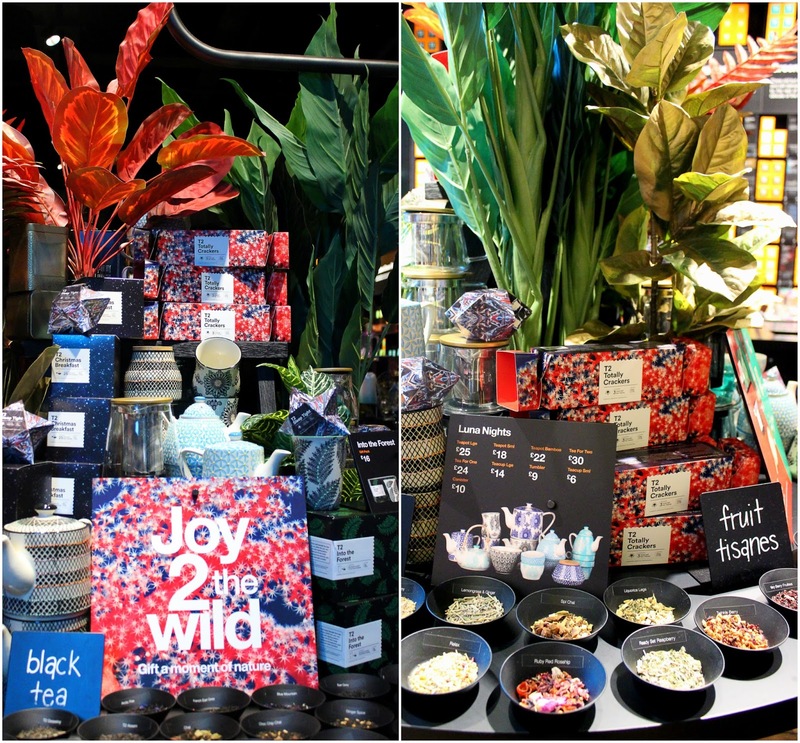 Joy 2 the wild collection is all about the earthy tones and nature flavours and everything in this collection reflects that. The store was decorated beautifully, it felt like stepping in to magical garden! It was truly magnificent to see so many stunning teaware patterns and different flavours all around the store. Just look at that stunning teaware, pictures doesn't do the justice! 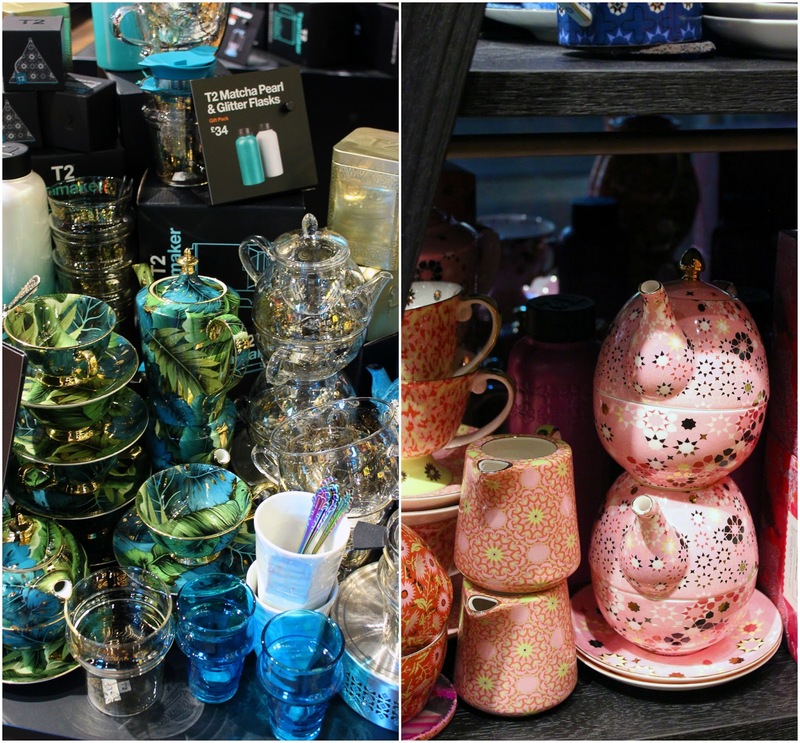 There is no doubt these cups, tea pots or mugs would make a perfect gift for any tea lover out there. 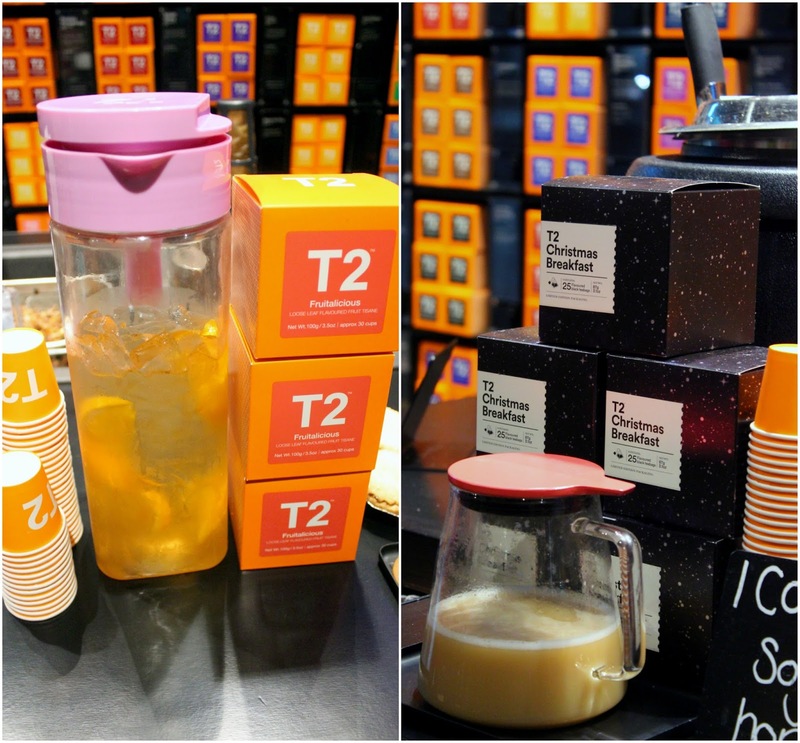 T2 not only introduced their new stunning teaware, but they also released new seasonal teas such as: Christmas Breakfast, Mulled Wine Magic, Choc Molten Marvel, Paradise Punch, Sticky Honey, Osmanthus Blossoms and Pineapple Tutti Fruity. So many great choices, but my favourite has to be the Choc Molten Marvel tea! It was prepared with soy milk and it literally tasted just like Baileys. We've been shown how to make cocktails and teas, which was very entertaining. I also met some lovely bloggers/youtubers (Nutellatasha, Petite Elise, Ailsarenk) and it was great to have a chat and taste all those different teas together. After that, we were allowed to pick a gift from their new range and I went for this super cute Luna Nights Starfish Sky Tea For One. Let me just tell you, I have not put it down since I got it! 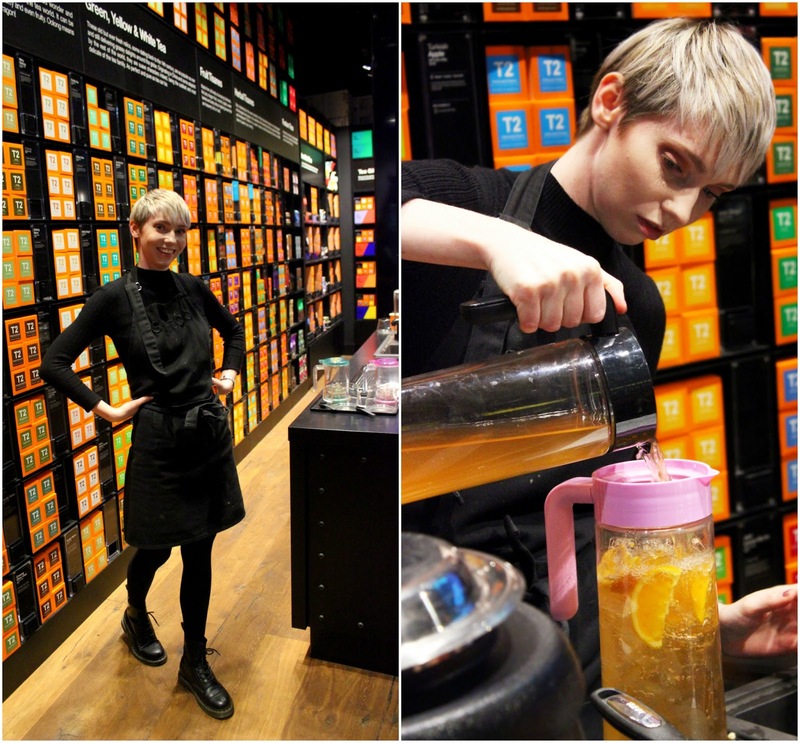 It takes tea drinking experience to the whole another level. 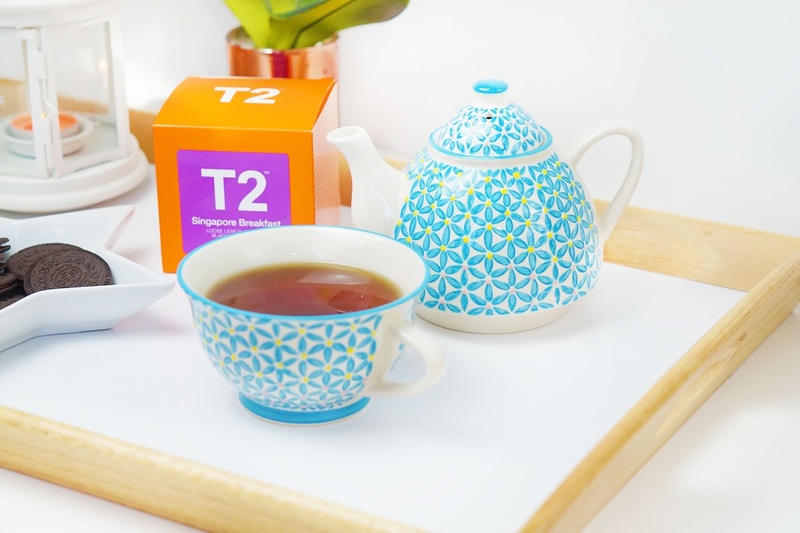 Absolutely love the design and colours and it’s very convenient as this little pot allows you to have almost three cups of your favourite tea! Can it get any better than that? I am so happy I was able to attend this event. I was a true fan of T2 teas for quite some time now and tried many different flavours from their selection such as : Jade Mountain, Crème Brule, Caramel Brownie, Singapore Breakfast, Tummy Tea, Packs a Peach, Banana Bake, White White Cocoa and Sencha Mango. But my absolute favourite has to be Singapore Breakfast. If I would have to pick one tea to drink for the rest of my life, it would be the one. You really need to try it! 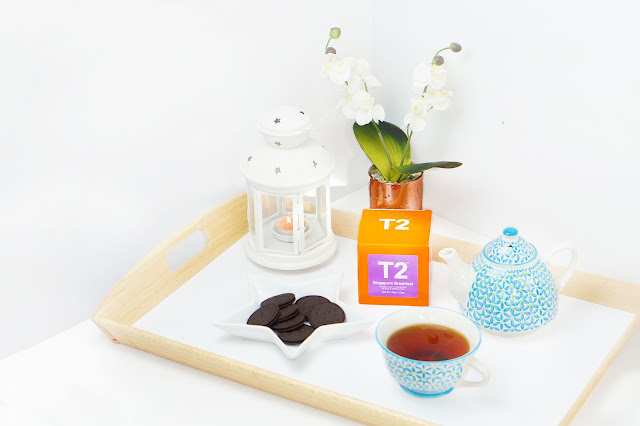 Let me know if you’ve heard of T2 brand before and if you’ve tried any of their teas.